In 1936, when the electric ice box was just beginning to enable an era of modern living, Alan Turing came up with the concept for a different kind of box – one that would be at least as revolutionary. His "Turing Machine" was the precursor of the modern computer. Dr. Turing is widely acknowledged as the father of computer science and artificial intelligence. Just last year, his life and work was being celebrated to honor the centenary of his birth. 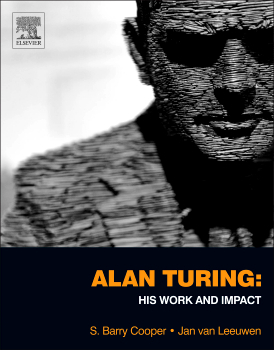 Elsevier has now published Alan Turing: His Work and Impact, edited by Dr. S. Barry Cooper and Dr. J. van Leeuwen – prominent professors and computer scientists who are building on the pioneering work of Dr. Turing. The book is based on The Collected Works of A.M. Turing, a four-volume set published in 1992 by North-Holland Publishing Co., which was subsequently acquired by Elsevier. In 2010, Elsevier colleagues contacted Dr. Cooper to discuss a new book after learning he was the chair of the Alan Turing Centenary Advisory Committee. This book presents the most significant original works from Turing's collected works — including unpublished works — along with commentary from renowned scholars, who write about Turing's impact on mathematics, computing, computer science, informatics, morphogenesis, philosophy and the wider world of science. A common theme is that all these writers were influenced by Turing's work. "Science is a very personal adventure for so many of us," said Dr. Cooper, in a recent interview for Elsevier Connect via email. "I started out as a child like Turing, seeking out a computable world, investing a lot of 'me' into trying to understand how to make the world work better. The mathematics of incomputability was a wonderful game for me." Cooper recalls arriving in Manchester as a research student in 1968, where he found Dr. Turing's only PhD student, Professor Robin Gandy, giving lectures on Turing's work on the emergence of Fibonacci sequences in sunflowers. "Now, when so many people are seeking out form beyond form, computation beyond computation, and structure beyond chaos — investigating randomness, human creativity, emergent patterns in nature — we can only wonder that Turing was there before us," he wrote. "So much of what Alan Turing pondered and brought into the light of day — techniques, concepts, speculations — is still valid in our everyday investigations. "As Rodney Brooks says in his piece on 'The Case for Embodied Intelligence' in the new book, 'It is humbling to read Alan Turing's papers. He thought of it all. First.'" During World War II, Turing was a member of Great Britain's code-breaking team at Bletchley Park and was head of "Hut 8," which was responsible for German naval cryptanalysis. Turing was given the challenge of breaking the code behind Germany's "Enigma Machine" so that the Allies could decipher the German's coded messages about ship movements. His "bombe" – an electrochemical machine – was able to successfully calculate the Enigma Machine's settings. After the war, Turing continued his groundbreaking research first at the National Physical Laboratory, where he designed one of the first stored-program computers, and then at the Computing Laboratory at Manchester University. In 1952, Turing was charged with and found guilty of "gross indecency" for sexual relations with another man. At the time, homosexual acts were illegal in Great Britain. Given the choice of imprisonment or probation with hormonal treatments, he chose the latter, amounting to chemical castration. The "treatment" lasted one year. Because of his conviction, he lost his security clearance and was unable to continue his cryptographic consulting with the government. In June 1954, Turing was found dead in his home from cyanide poisoning. His death was ruled a suicide, but recent theories suggest Turing may have accidentally inhaled cyanide fumes in a makeshift laboratory in his home. Since his death, the appreciation of Turing's contribution to science and technology has grown steadily. In 1999, Time magazine named him one of the Most Important People of the 20th Century: "The fact remains that everyone who taps at a keyboard, opening a spreadsheet or a word-processing program, is working on an incarnation of a Turing machine," the article said. He was also the subject of a play, Breaking the Code, which was nominated for three Tony Awards and turned into a BBC/PBS television program. 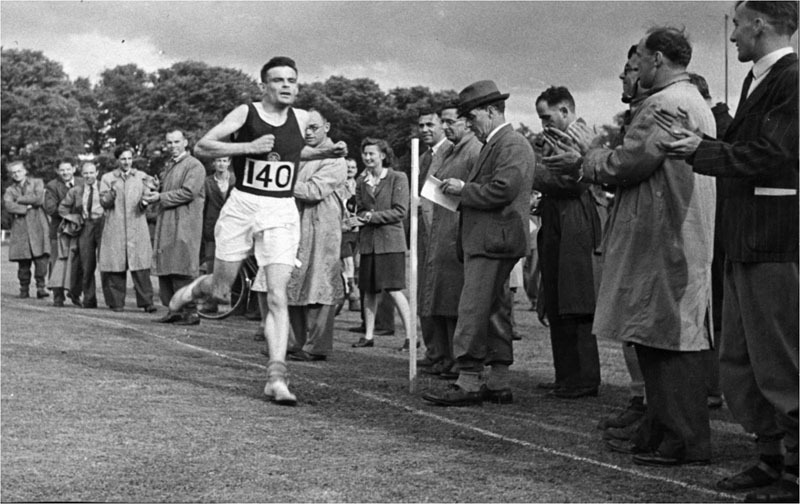 The Turing Centenary Advisory Committee designated 2012 The Alan Turing Year and organized a year-long global program of events honoring his life and contributions to science. Turing's influence and enduring impact came out of his vision. He didn't merely pick up the technical baton some other clever mathematician had passed on. He thought things out from the bottom up. More on Turing. Professor Cooper established this website as chair of the Turing Centenary Advisory Committee. He continues to update it with information and resources about Turing's life and work, including new initiatives. He also wrote a guest blog for The Guardian. He added that this is what caught Kurt Gödel's attention when Gödel read Turing's 1936 paper on computable numbers and he was persuaded of the existence of a robust notion of computability. Cooper commented that the universal Turing Machine did not arise from a funding body supporting a proposal for the invention of the computer. Instead, it came out of a young man looking at the computational context of the time – humans (usually women) computing according to instructions – and extracting basic understanding and a model with far-reaching power and real-world significance. "Turing was a grounded, yet visionary scientist," said Dr. Cooper. "As well as bringing technical content to the mundane, he brought basic intuition to the technically arcane. In his fairly unreadable 1939 paper describing a hierarchical strategy to beat Gödel's Incompleteness Theorem, he drops in a thoroughly 'Turing' observation on how he had set out to beat intuition using ingenuity, and ended up doing quite the reverse! "Already in the midst of this most abstruse mathematics of his career, one can detect the seeds of the artificial intelligence he was to initiate, and his seminal fascination with creativity, and surprising form in nature arising from the mechanical." "Turing's thinking still underlies basic quests in many areas of science and the humanities, from physics to economics, from biology to neuroscience, and beyond," he added. "And his very personal involvement echoes our own. It gives meaning to our small but privileged role within the wider human enterprise." 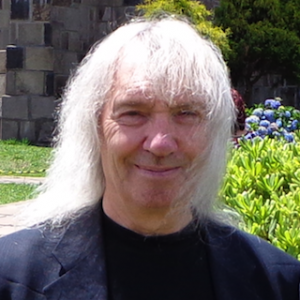 Dr. S. Barry Cooper is Professor of Mathematics at the University of Leeds. 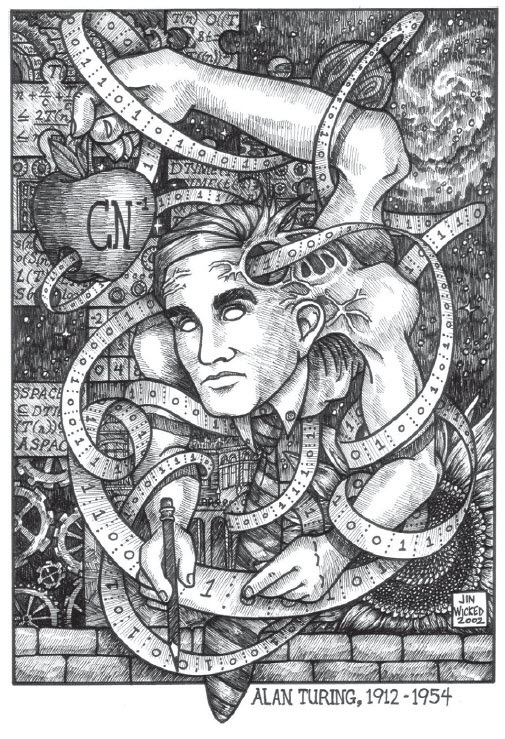 He key figure in what has been termed the Turing Renaissance, leading a return to Turing's wide-ranging focus on basic questions of computability which underly many scientific, social and artistic disciplines. He is president of the association Computability in Europe and a managing editor of their journal Computability, and of the Springer book series Theory and Applications of Computability. He has authored or edited 16 books, including the popular text Computability Theory, and has a further three in preparation. He serves on the advisory board of The John Templeton Foundation and holds an honorary doctorate from the University of Sofia in Bulgaria. Q: What led you to work on this book? A: My first thoughts were I was just so excited to engage with these classic texts … and bring them to a new readership. I always tell my students they should never refer to a classic text without having had it in their hands — you discover so much, quite unexpected things, when you actually read the original writing. And to have a role in using the Turing Centenary platform to give new life to these remarkable works was impossible to turn down. In doing this, I wanted to do something different than what the Collected Works did, which I still think is very special and should retain its place in the literature. So the idea arose of asking a very wide spectrum of commentators to write quite personally and frankly about the impact of these writings on their work and lives — and to not be afraid of controversy and relating to a wide readership. Q: If you had to choose one or two contributions as the most important, which might they be? And why? A: For the commentaries, this is an impossible question; there are so many very special and quite remarkable contributions! … What became very special to me was the work of Dennis Hejhal on Turing's work on the Reimann Hypothesis . He delved deeply into both texts, archival evidence, contacting surviving players in the history, and turned up all sorts of interesting material and interpretations of the complicated historical record. … I much liked Christos Papadimitriou's very personal introduction to the 1936 computable numbers paper, while collectively I still find it exciting that we have over a hundred pages devoted to this paper, with such diversity of commentary and hardly a duplicated take on the paper amongst it. The morphogenesis part is also a real treasure-house of riches, with Jonathan Swinton … giving new life to various materials, including the unpublished "Outline of the Development of the Daisy." 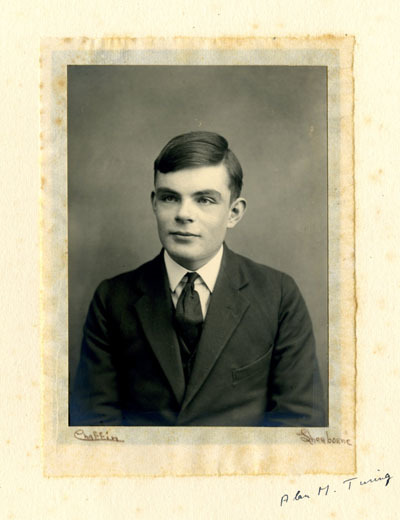 Portrait of Alan Turing at 16, courtesy of the Sherborne School Archives. The AI part is also full of interest, where I particularly appreciated the comments of (roboticist) Rodney Brooks on Turing's significance for his own groundbreaking work. And, of course, the always insightful Andrew Hodges appears in muted form in various places. Which reminds me that we do have appended Einar Fredriksson's candid comments on the history of the Collected Works, giving us a chance to give a small tribute to the unique, and sadly no longer with us, Robin Gandy. Q: Is there a particular contribution by Turing that you think is overlooked? And a contribution that is overplayed? A: If you refer to Turing's contributions, I have discovered a great deal during the preparation of the volume that I had not known about before. Lenore Blum woke me up to the importance of "Rounding-off errors in matrix processes." Of course, Turing's most cited paper, "The chemical basis of Morphogenesis" (which examines how organisms develop their distinct shapes and patterns), is a key work for the biologists but not well known amongst logicians and computer scientists who like to claim some "ownership" of Turing. Some think the Mind paper on "Computing machinery and intelligence" (which considers the question "Can machines think?") over-rated. Many have not read the paper, but one might agree with those who see the unpublished "Intelligent Machinery, A Heretical Theory" as a very rich and neglected source of thinking — a founding contribution to what came to be called "artificial intelligence." Q: Turing had an immensely productive professional life and a tragic personal life. Is this dichotomy one of the reasons he remains such an outsized figure in our imaginations? A: The answer to this is quite complex and plays out differently for different people. The mismatch between what goes on in our heads and the constraints of the outside world is something ever-present for the scientist, and in Turing's life we see this mismatch played out in especially dramatic terms. This has both a personal dimension — especially for those geeky kids who had a tough time at school — and a public one, with the state typically slow to come to terms with its past malfeasance. The persecution of a gifted scientist for his private life triggers an empathetic response from many of us — those of us with quite individual thoughts yet to be properly appreciated in the wider world. Q: Are singular minds such as Turing's apparent today? Are there really radical thinkers in a variety disciplines? If not, why? A: The simple answer is "yes." There will ever be remarkable intellectual phenomena, whatever the social context. But a purely personal opinion is that the balance between control and empowerment of individual thinking and curiosity is currently swinging too far towards the algorithmic: a misinterpretation of the legacy of Turing himself. Turing saw a partnership between computers and human intelligence. Increasingly we see "training" and "targets" designed to squeeze the exercise of human intelligence out of the social system. We receive home school reports seemingly written by Turing machines, and funding councils imposing focus on research designed to make sure brilliant thinkers think about the predictable. Fortunately, even prison cannot stop thinkers thinking. One needs a direct attack on the organism — poisoning body and mind — to truly destroy a genius. A little passion creeping into my response to your last question. 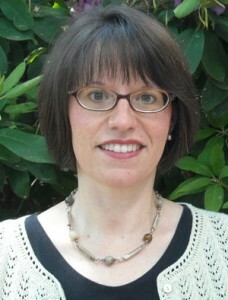 Michelle McMahon is the Publicity Manager for Elsevier's Science & Technology Books division (@SciTechBookNews). She and others in the Channel Marketing department at Elsevier worked with the editorial team and the editors of this book to write this article and market the book. She is based in Waltham, Massachusetts. 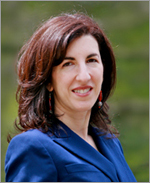 Alison Bert (@AlisonBert) is Editor-in-Chief of Elsevier Connect. She joined Elsevier five years ago from the world of journalism, where she was a business reporter and blogger for The Journal News, a Gannett daily newspaper in New York. In the previous century, she was a classical guitarist on the music faculty of Syracuse University. She holds a doctorate in music from the University of Arizona, was a Fulbright scholar in Spain and performed in the 1986 international master class of Andrés Segovia. Being a Computer Science Professor, I salute him for his research in the area of Artificial Intelligence, Theoretical Computer Science, and Cryptography. Its an amazing fact that CAPTA is the reverse of that of Turing Test, and both have equal importance in Artificial Intelligence. Not only RAM Machines, but also PRAM Machines also follow the Turing Machine Models. Each and every finding of Alan Turing will always remain milestone in computer science. Thank you very much Mr. Alison Bert for publishing my views about Alan Turing. By mistake I wrote CAPTA instead of CAPTCHA. i.e. Completely Automated Public Turing test to tell Computers and Humans Apart. I also want to give the tribute to Alan Turing for doing his pioneer work on "Morphogenesis". In short, whole world is surrounded by Turing Machines, what we call Digital Computer, and that is because of none other than, and one and only "ALAN TURING". Your welcome, Professor Kumar, and thank you very much for your thoughtful comments. Just one further correction: Although you were probably confused by my surname, I am a woman, not a Mr. :) And I was a professor &quot;in the previous century&quot; — of music.